Probably more than half of these tip jars are from Austin, which makes me proud... Keep Austin Weird! YES ATX!!!!!!!! KEEP AUSTIN WEIIIIRD! I wonder which amy's this is from. 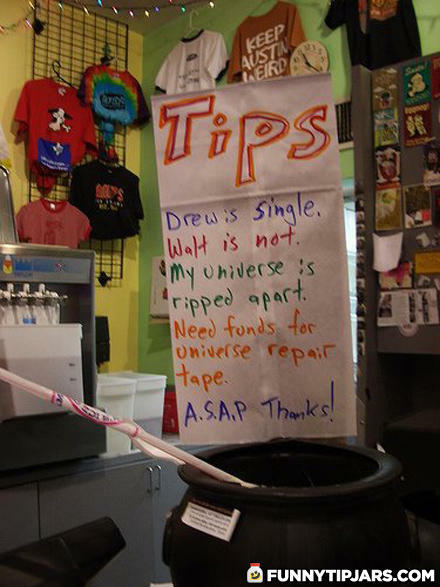 Straws will fix the universe! I guess this is funny if you know Drew or Walt. How much carlins does it take to screw in a light bulb?